A Palestinian baby and her mother were reunited Monday after months of separation ended as Israel accepted Jumana Daoud's long-delayed application to travel from Gaza to Jerusalem to fetch her. Daoud and rights groups said she had submitted an application several months ago to reenter Israel to retrieve baby Maryam from a hospital in Israeli-annexed east Jerusalem, but received no reply. The mother's application was accepted after her story was covered by Israel's Channel 10 on Sunday night, catching the public's attention. Palestinians in the Gaza Strip need to apply for individual permits to enter or transit Israel, but do so through the Palestinian Authority. The Israeli defense ministry body responsible said there was no application even though the PA circulated a document showing that the request had been submitted. Tiny Maryam smiled as she was picked up by her mother for the first time since her premature birth on August 1. "It's a very beautiful feeling. Finally I can take her in my arms. Now I just hope that she'll be happy forever," her grinning mother said. "She had no maternal affection, nobody held her," said a tearful Umm Abdul Rahman, a woman from east Jerusalem who said she came in weekly to check on Maryam, sending photos to the family via WhatsApp. "I was trying to hold her and make her laugh." 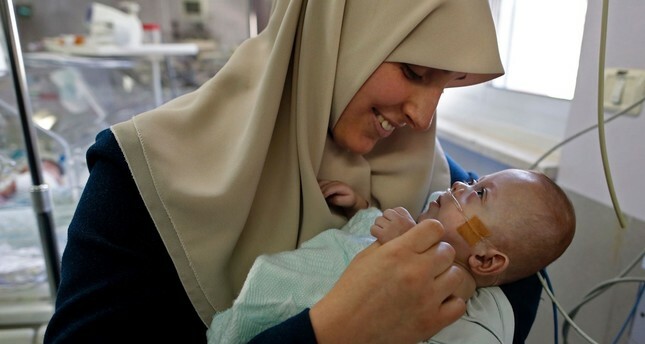 Hospitals in Gaza do not have the facilities to care for premature babies, said paediatrician Mohammed al-Najjar at Makassed Hospital in east Jerusalem where Maryam was born more than two months early along with a sibling who died. She needed to be kept in an incubator for several weeks in order to survive, doctors said. 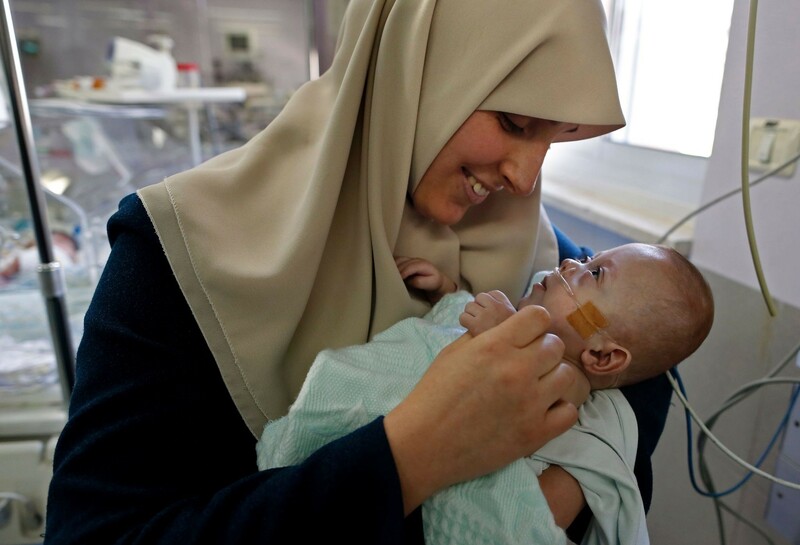 Daoud said she now had to return to Gaza to care for her other two young children, assuming she could do so quickly once Maryam's health improved. She reapplied for a permit to visit Jerusalem in October, she said, a claim supported by Physicians for Human Rights Israel. Hossam Liftawi from Physicians for Human Rights said this was not an isolated incident. "There are many cases in the hospital of mothers going back to Gaza for some reason," he said, explaining they find it hard to get another permit because of slow-moving Israeli bureaucracy. "Most of the cases last for a month or two but this one is the longest," he added, calling on Israel to improve its processes. The World Health Organization (WHO) has expressed concerns about the decreasing percentage of Palestinians from Gaza given permission to enter Israel for treatment. In December, only 41.7 percent of more than 2,500 patient applications were granted, the lowest rate since April 2009, according to the WHO. A relatively small number were refused, but the majority received no answer in time for their appointment dates. A UN source said they were informed by Israeli officials at a recent meeting that a number of applications had been deleted by accident.